being little • bristol uk fashion & lifestyle blog. : hello, autumn. 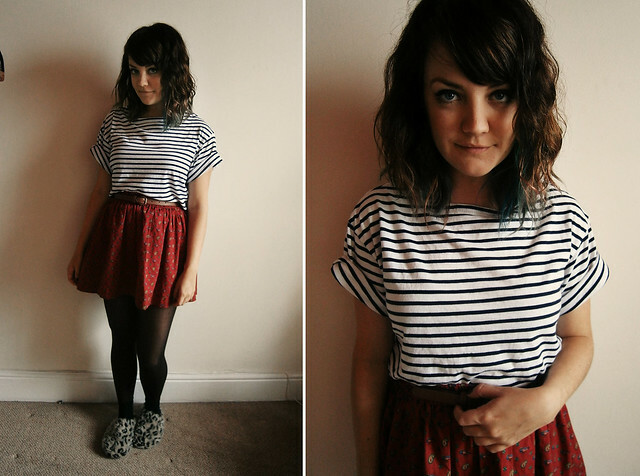 WEARING: t-shirt - charity shop ; belt, tights & slippers - primark ; skirt - handmade. I put a little more pink on the ends of my hair this morning but it didn't really take too well. I let it dry naturally while I sorted out my wardrobe, and it went all curly and fun. All my summer dresses and shorts have been put away, and I got out my winter woolies and coats (and had a bit of fun wrapping up in them) Bit sad to see them all put away, but it feels really Autumnal now. 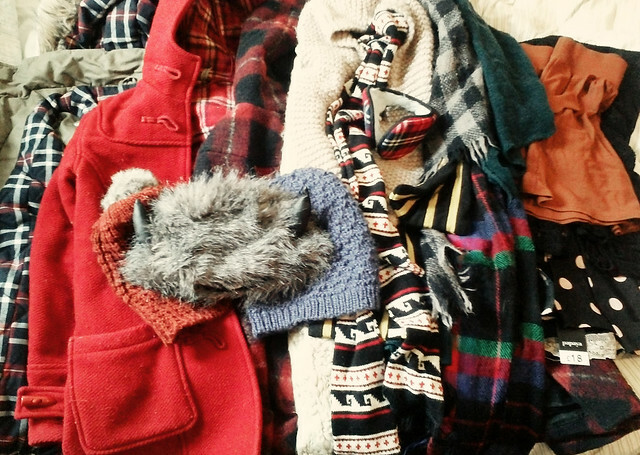 I love wrapping up and layering. I wandered into town and had a look around the charity shops, and I'm glad I didn't bother straightening my hair because it's so drizzly and damp out there! 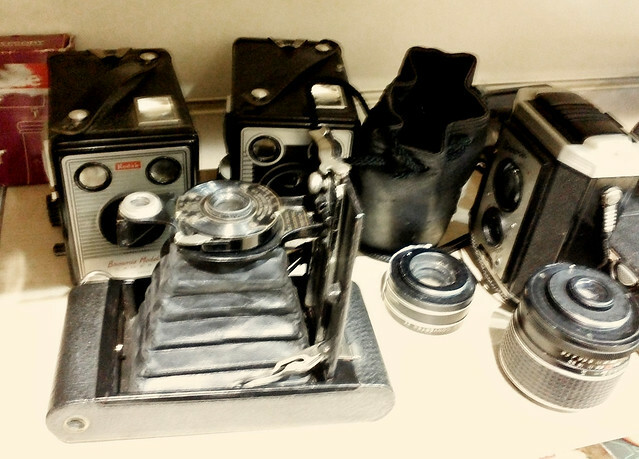 I was looking for specific things, so I didn't find any treasures, apart from these old cameras. I'm probably going to go back and buy a couple tomorrow for Elliott's sister, Phoebe :) HI PHOEBE! 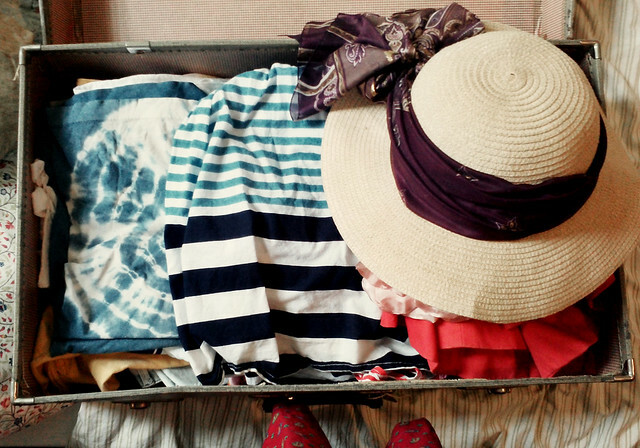 Aww at putting away all the summer stuff, summer is really over now isn't it! But I do love Autumn clothes :) Them camera's look cool, think I'm gonna dig out my dads old SLR and try n find some film for it! 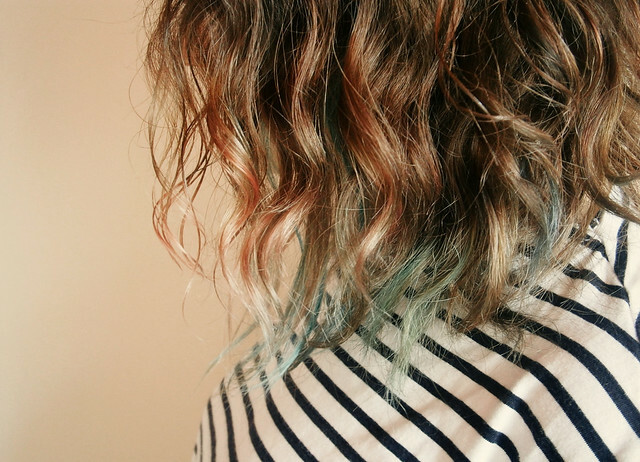 I love your hair all curly like that! Super cute. Autumn is definitely here - I just treated myself to a new winter coat! Your outfit is such a beauty! I absolutely adore the skirt! Did you make this yourself because its incredible? And the tee goes so well. Plus I love the little added touch of slippers.. you can never go wrong! 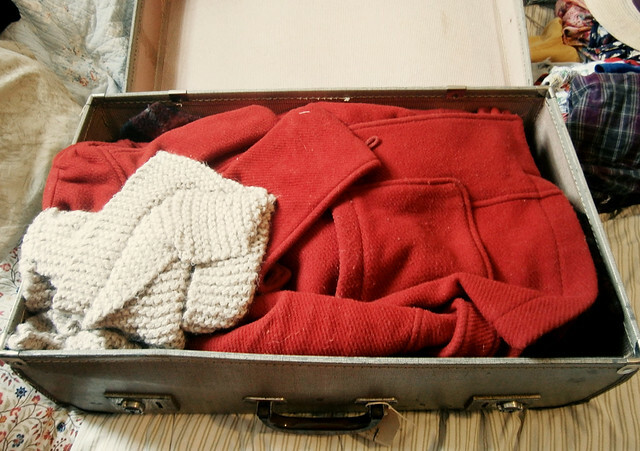 I love getting all my winter things out of storage! I like being all cosy! I love your skirt, its very pretty! You always look so incredibly sweet! That skirt is beautiful, very impressed it's handmade. 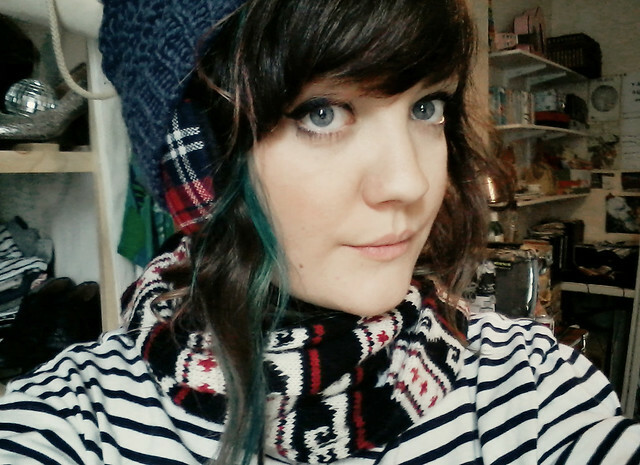 It was awful this morning, so damp outside - ruins the mood but I too enjoy wrapping up in the woolies! you look cute as always :) i love your slippers !! You hair looks lovely curly!! If you are getting weather anything like the weather we are getting in Glasgow then Summer is most definitely officially over!